Mon - Thur from 8am - 5pm and Friday 8am - 4pm. We may be available on Sat by request. 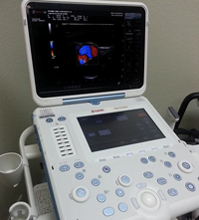 We provide ultrasound services at locations in both Riverton and Lander. We do abdomen, thyroid, small parts, OB/GYN and vascular exams. All exams are performed by an ARDMS registered sonographer and interpreted by a board certified radiologist. We hope you will consider choosing locally owned, Wyoming Family Sonography LLC when your physician orders an ultrasound.